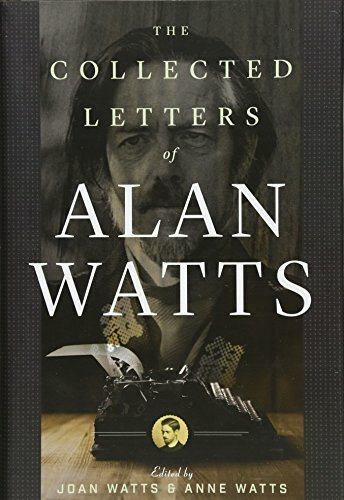 The very human side of Alan Watts, the East-meets-West scholar of the 1950s and libertine philosopher of the 1960s, comes alive in this wide-ranging collection of letters compiled by his two eldest daughters. Watts, one of the most distinctive voices of the spiritual counterculture of the post World War II-era, was born in a prosperous London suburb in 1915 and died in Marin County, California, in 1973. His lifelong effort to explain some of the more ineffable concepts underlying Buddhist thought began in the 1930s with the publication of his first book, The Spirit of Zen, at the young age of 22. During the Second World War, Watts decided to explore his Christian roots by entering a seminary in Illinois, getting ordained as an Episcopal priest, and accepting a call to serve as a college chaplain. In a January 3, 1951, letter to the noted Protestant philosopher Reinhold Niebuhr, Watts sought to correct the critique that Eastern mysticism’s focus on “the void” made it a philosophy of negation. A section of book titled The Priesthood Years: 1944–50, includes another letter of theological sparing with a conservative Anglican scholar who questioned some of Watts’ unorthodox ideas. It was Watts’ soon-to-be-notorious celebration of fleshy pursuits that would lead to the discovery of the fact that he and his wife were living in an open marriage with another couple, a scandal that caused him to leave the priesthood in 1950 and head out to Northern California, where Watts began earning his reputation as a free-wheeling guru with little interest in monogamy or monotheism. In the italicized commentary that punctuate and enliven this hefty volume, daughters Joan and Anne Watts write about the difficulties they faced dealing with their fathers’ various wives and mistresses. In the late 1950s and early 1960s, Watts’ experimentation with psychedelic drugs made him one of the earliest and most articulate commentators on a generation’s budding efforts to find spiritual enlightenment through the wonders of modern chemistry. In a December 12, 1960, letter to Timothy Leary, who was just beginning his psychedelic research at Harvard, Watts thanked Leary for turning him onto a synthetic version of psilocybin, the active ingredient in magic mushrooms. It seems clear that another drug—alcohol—played a major role in Watts’ early death at age 58. Joan writes of her father buying a case of six 1.75-liter bottles of vodka on the way to one of his lectures, and guzzling from one of them before going on stage in the early 1970s. One of the great paradoxes of the amazing life of Alan Watts was how he could so brilliantly explain the enlightened state of mind while living a less than enlightened life.